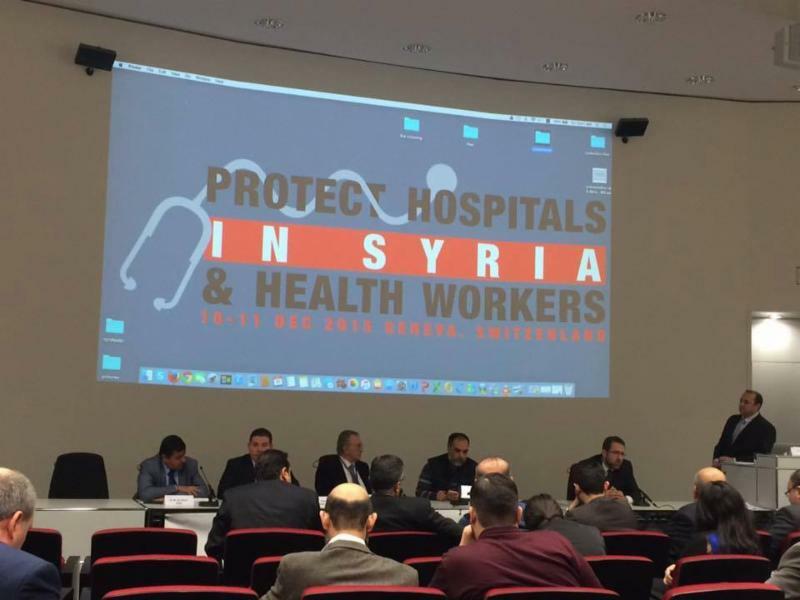 Geneva, Switzerland – The Syrian American Medical Society (SAMS) joined four of the other leading Syrian medical organizations for the ‘Protecting Hospitals & Health Workers in Syria’ conference in Geneva, Switzerland on December 11. 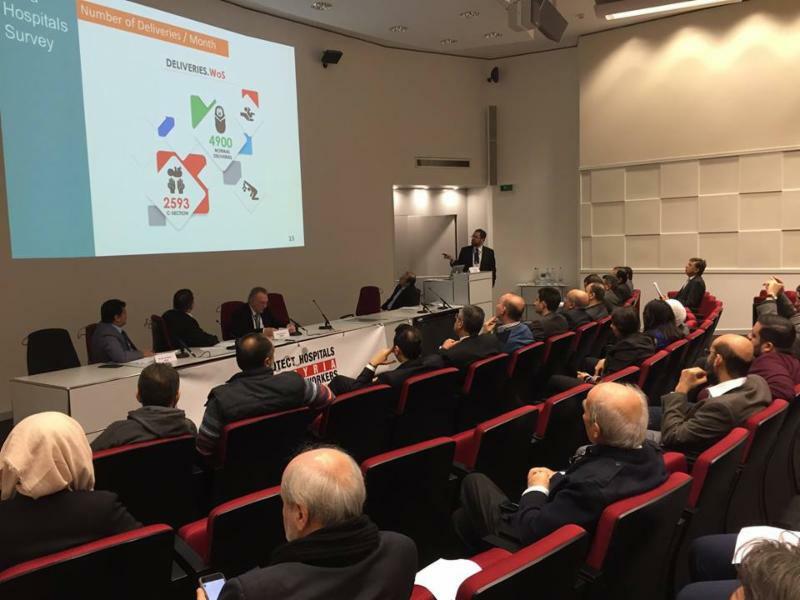 The conference was organized by SAMS,Union of Medical Care and Relief Organizations (UOSSM), Physicians Across Continents, Syrian Expatriate Medical Associate, and Al-Sham Humanitarian Foundation in order to share information about attacks and challenges inside Syria, coordinate documentation of attacks and best-practices for the operational protection of hospitals, and strategize for joint advocacy efforts. Conference speakers and attendees included seven medical personnel from Hama, Aleppo, and Idlib, Syria, as well as representatives from the World Health Organization, the UN Office for the Coordination of Humanitarian Affairs, Doctors Without Borders, Human Rights Watch, and more. The conference panels addressed the direct impact the conflict has on the medical infrastructure in Syria, operational challenges on the ground, and best practices for coordinating efforts between local and international organizations. 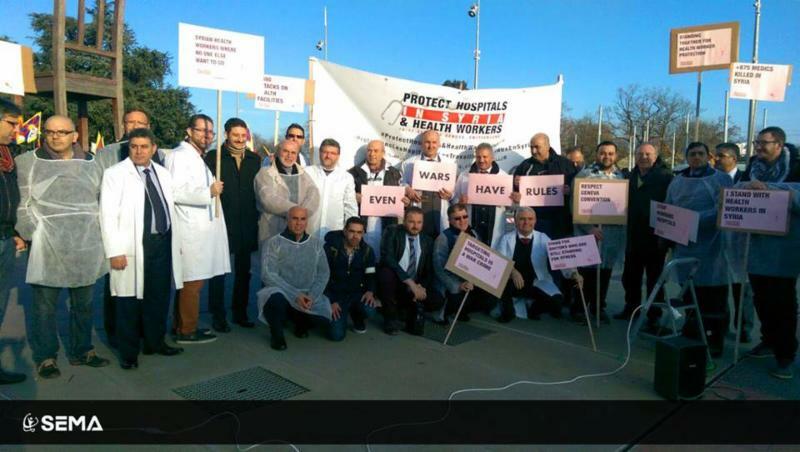 The need for an end to the systematic attacks on hospitals, health workers, and ambulances – 2015 is the year with the most attacks on medical facilities since the beginning of the crisis, with an attack on average every 2-3 days. Medical groups and the health sector need to collect, look at, and systematize data as we respond to this trauma crisis and provide support. Hospitals are being driven underground – they need protection to ensure that the pattern of bombing, rebuilding, bombing, rebuilding, etc. ends. We are losing lives and draining funds. The day before the conference, a press conference and a white coats solidarity event took place in front of the United Nations building in Geneva. The display of more than 300 white coats was attended by international healthcare professionals from Syria, United States, United Kingdom, France, and beyond in remembrance of the more than 697 medical personnel who have been killed in the conflict so far and in solidarity with health workers who remain inside Syria. For media requests, please contact SAMS’s Advocacy and Communications Manager Kat Fallon at [email protected] or by phone at 202-854-1394.